We’re finally nearing that time of year when the air gets chillier, the food starts to taste like all-pumpkin all the time, and the costume brainstorming sessions break out at least three times a week. 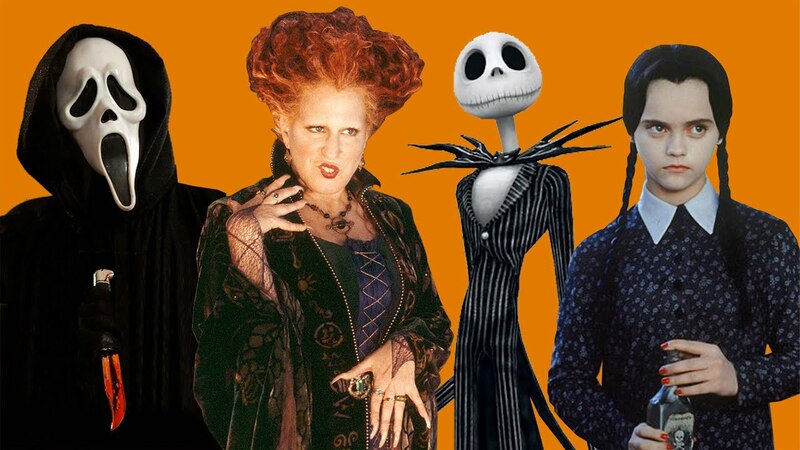 With Halloween just around the corner, it’s time to get your spooky on--and there’s no better way to do that than by seeing your favorite spooks on screen! So, with Halloween in mind, here are five must-watch movies for spooky month! Halloweentown is a beloved childhood classic that leads you on a journey from “The Mortal World” to the magical alternate universe of Halloweentown, where every fantastical creature you can imagine is real and every scene is more entertaining than the last. This magical movie is followed by three equally wonderful sequels to binge-watch once you’re done with the first! This dark fantasy movie follows Jack Skellington, the King of Halloween Town as he tries to bring Christmas to his home, causing comical confusion. This classic follows Max Dennison, a curious young boy who struggles to fit in when he moves to Salem. On the night of Halloween, he awakens the Sanderson sisters, a trio of witches that faced execution in the 17th century. Along with his younger sister, his potential love interest and a talking cat, Max sets out to save the town from the devious witches. If you loved the comics, here’s the chance to see the sweetest, friendliest ghost in town on the big screen in one of the most heartwarming Halloween movies out there. This dark and mysterious entertainer follows a con artist who plans to dupe the eccentric Addams family by using an accomplice who claims to be their long-lost uncle. So, there you have it! Grab some popcorn, something made out of pumpkin, a few friends, and get your spook on!